The standard Plastiq fee is 2.5%. Payments may incur additional fees based on the country the card was issued in or method of delivery. 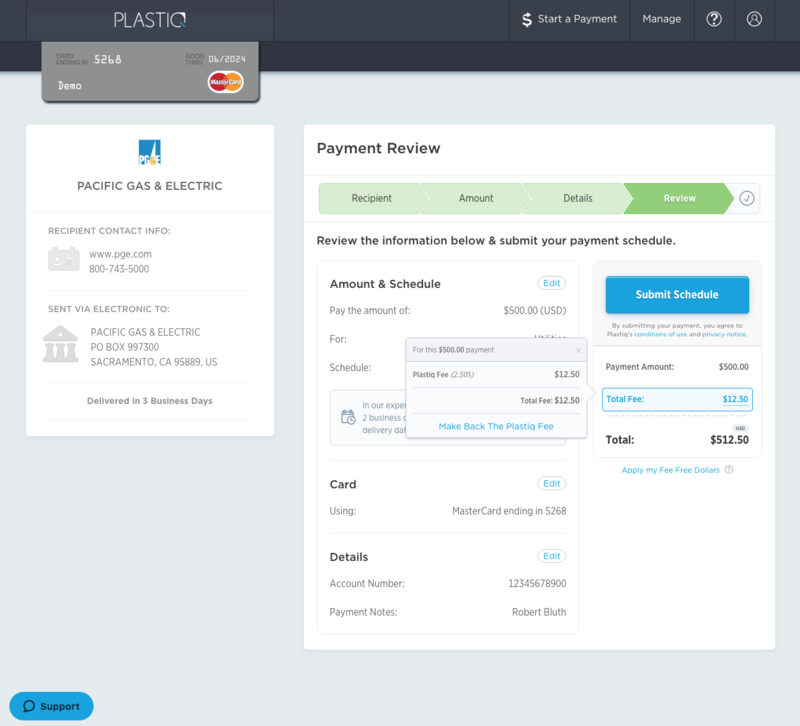 Plastiq provides a breakdown of these fees on the payment review screen prior to submission. All percentage-based fees are calculated based on the principal amount, that is, the amount you indicate you want to pay your recipient. Plastiq fees are subject to change without notice. Plastiq fees may be lowered due to promotions or referral credits you have at the time of payment. Please note that the Plastiq fee for Visa, MasterCard, American Express, Diners, Discover, JCB debit card issued in the US is 1%. This excludes pre-paid cards, gift cards, online-only banks and all international debit cards. 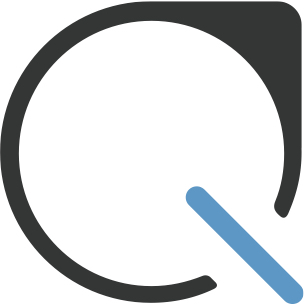 Scheduled payments lock in the Plastiq fee you received at the time of submission. Please note though, that editing a scheduled payment will initiate recalculation of the Plastiq fee. For example, if you schedule a payment with a promotion and you edit it at a future time, you will lose the promotional Plastiq fee. Cross-Border Payments Cross-border fees are added when you use a card issued in a country different from the country the recipient you are paying is located in. Example: A Canadian card being used to pay a business in the US will incur cross border fees. To learn more, please read here. Accelerated Payments Suite When sending your payments, you have the option to expedite the payment. Additional fees apply when expediting your payment. To learn more, see this article.